All English "Traditional Chinese Medicine" Books in China Available! 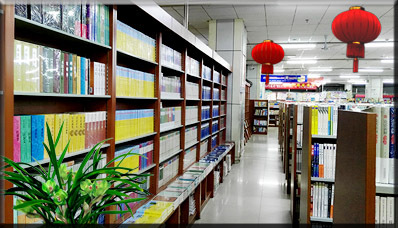 Your visiting our TCM English Bookstore in China is warmly welcomed. We are extremely proud that we have been offering thousands international readers our wonderful books and best service! We have been striving to promote the wide recognition of TCM knowledge in the Western world by offering you the complete list of English books available on TCM knowledge in China at present. All of them are the most authoritative and accurate information resources available, describing the wonderful realm of traditional Chinese medicine, including TCM books on acupuncture, herbs, qigong, tuina (massage), medicated diet, Chinese wushu, etc. in our TCM bookshop. We are closely cooperating with TCM publishing houses, presses and book suppliers in China. We are doing our best to collect more books over China and to offer the most favored price to our international readers. Our books are warmly welcomed by readers over 220 countries worldwide. Book delivery to you is 100% guaranteed. Refund is also 100% guaranteed if your package is not received. Once the order is placed, the books will be shipped in 12 hours. A bigger discount is given if you order more books. We also offer English books about Chinese culture, politics, military, economy, arts, history, tourism, cooking, Chinese language learning, etc. We accept multiple currencies from anywhere in the world. You can also order books by using your credit card online such as Visa, MasterCard, American Express, etc. We also accept payment in the form of bank money order, personal check or bank transfer. We hope you become a successful scholar or practitioner of TCM. Best wishes for your rapid academic or technical progress! If you are a patient, we also hope that our books can be of good help for your illness. If you need other books that we do not list here such as TCM books in Chinese language or other Chinese books published in China, please contact us. It will be our pleasure to obtain them for you. ---I have received my first package of the book shipment today. I am very pleased with the books. I ordered the books to get some basic knowledge as I hope to attend your school for studies some time in the future. I have found the books very good for this purpose. They are filled with plenty of information, yet easy to understand. I have no doubt I will be placing further orders for literature with you in the near future. Your website is by far the most efficient and friendly I have dealt with. The prompt responses and communication at every step were pleasing. ---I LOVE the books! They're great--pleasing to hold covers, nice paper, clear text, easy to understand translations. And the fact that the English and Chinese text is on the same page, laid out in such a way that there's lots of space and no cramped feeling, well, that's fantastic. I'm very happy with them. I thank you very much. Your customer service is very superb and it's been a pleasure doing business with you! I plan to order more books from you in the future. ---Hello Dr, once again I thank you and your staff for the prompt service. I received my books on Friday much to my enjoyment, ready for the weekend. The texts are excellent and have been very helpful already. The translation to English makes it easier for Westerners like myself to understand TCM from the chinese view rather than from a Western point of view of TCM, which often becomes confusing. I appreciate the special discounts I receive and look forward to doing more business with you in the future. I have recommended you to many friends and hope that they shall also frequent your site and do some business with you.